The integrity of coatings of electronic assemblies to protect against interference, harsh climate conditions, and harmful gasses has a significant effect on the reliability of those assemblies. An inability to protect against such risks may lead to damages that result in an edge escape at connection contacts and pore channels in paint pooling areas, among other potential problems. 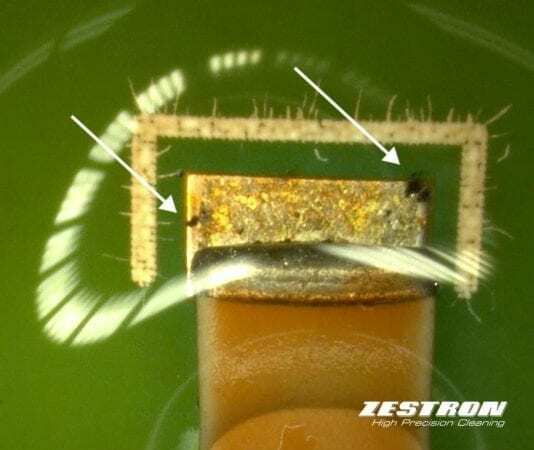 By using the Coating Layer Test from ZESTRON, defects in protective coatings or non-closed layers in μ-coatings become visible via the appearance of black dyed indicators.